Bake at 350°F. for 26 to 30 minutes or until light golden brown. Cool 20 minutes or until completely cooled. Cut bread in half lengthwise. Brush cut sides of bread with salad dressing. 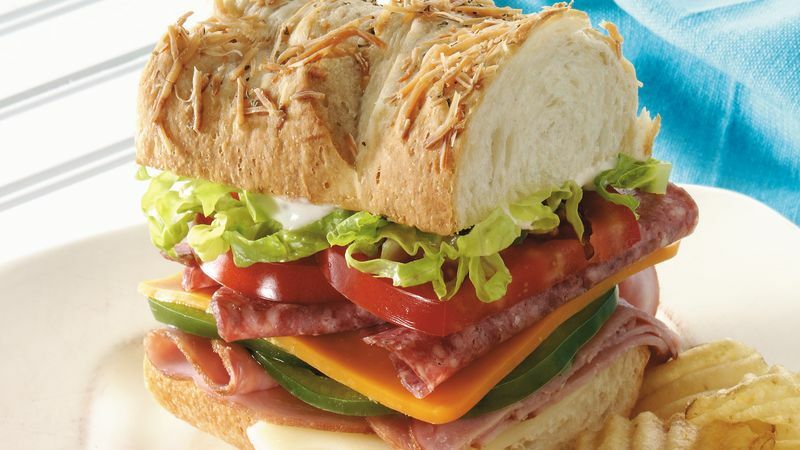 Layer bottom half with Swiss cheese, ham, bell pepper, Cheddar cheese, salami, tomato and lettuce. Cover with top half of bread. Secure sandwich with toothpicks. Cut into 4 pieces.